The project „Fachkräfte für kommunale Partnerschaften weltweit” (FKPW), Experts for municipal partnerships worldwide, is a joint project of the Deutsche Gesellschaft für Internationale Zusammenarbeit (GIZ) GmbH and the Servicestelle Kommunen in der Einen Welt (SKEW) of Engagement Global. FKPW supports municipalities in Germany and in the Global South in boosting their partnerships. The project assigns experts internationally and locally and thus, makes a contribution towards improving the ability of municipalities to deliver services and demonstrate good local governance, making the cooperation structures of partner municipalities more viable and expanding the commitment of civil society. 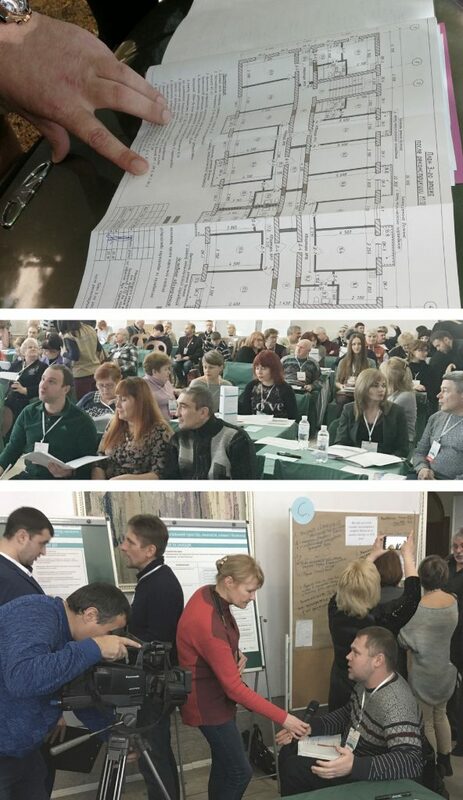 Since 2018, Bürogemeinschaft Gauly & Volgmann supports, in partnership with Iris Gleichmann, the Ukrainian city of Nikopol in the development of an integrated urban development concept with a focus on housing for vulnerable groups. The working group was commissioned by GIZ as part of the program „Initiativen des Infrastrukturprogramms für die Ukraine. Stärkung der sozialen Infrastruktur für die Aufnahme von Binnenflüchtlingen“ (IIPU), Initiatives of the Infrastructure Program for Ukraine. Strengthening the social infrastructure for the reception of internally displaced people (IIPU). Preparation of a SWOT analysis: strengths, weaknesses, opportunities, threats and needs for action. The City of Leipzig decided to proclaim 2018 as „Jahr der Lokalen Demokratie“, Year of Local Democracy. Accordingly, the focus was on strengthening democratic values ​​and motivation for continuous participation. Thus a media campaign was launched and 24 brochures with the title „Demokratie vor Ihrer Haustür“, Democracy at Your Doorstep, were published and distributed in order to present all district councils and local councils as local democratic bodies. With the goal of harmonizing the quality of the meeting venues among all committees, Bürogemeinschaft Gauly & Volgmann, commissioned by the Department of General Administration of the City of Leipzig, examined the meeting venues of the local committees. Criterias such as the room size, accessibility and technical equipment as well as the connection to local public transportation have been taken into account to analyze these venues. Based on interviews with the chairs of the committees and on-site visits to all meeting venues, extensive recommendations were made for improving their quality. While many recommendations were focused on the improvement of equipment of the existing facilities, in some cases medium-to-long-term relocation to other buildings was recommended. In 2017, bgh. set up a working group with Iris Gleichmann to analyze the housing needs of disadvantaged groups (in particular internally displaced people from the post-conflict areas of Donetsk and Luhansk oblasts) in selected cities in Ukraine. GIZ commissioned the working group to collaborate in the program: „Initiativen des Infrastrukturprogramms für die Ukraine. Stärkung der sozialen Infrastruktur für die Aufnahme von Binnenflüchtlingen“ (IIPU), Initiatives of the Infrastructure Program for Ukraine. Strengthening the social infrastructure for the reception of internally displaced people (IIPU). By this project, seven temporary container settlements were built in 2014 and in 2015 in the following cities: Dnipro, Kamjanske, Kharkiv, Krywji Rig, Nikopol, Pavlohrad and Zaporizhzhya. The starting point for the commission was the question of how to handle the settlements in the long term, which currently represent a central element of the housing supply. Developing an integrated planning approach for the long-term accommodation of disadvantaged groups in the project cities. 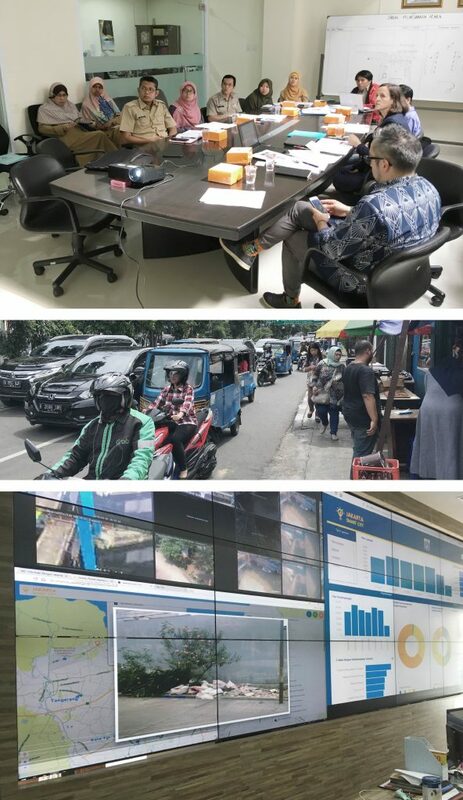 The results were presented to the ministry (MinTot) in December 2017, implementation is currently taking place. 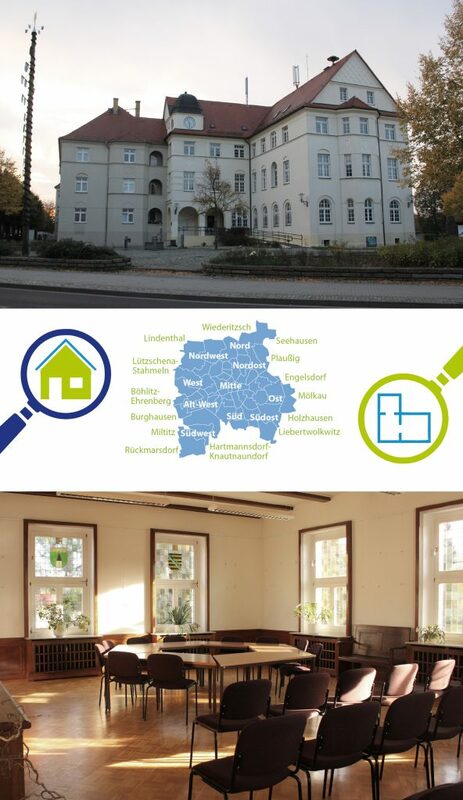 Since 2017, the project „Integration durch Initiativmanagement“ (INTIGRA), Integration through Initiative Management, is implemented in Mockau, one of Leipzig’s districts. This project represents Leipzig’s response to the call for projects of the German Federal Ministry for the Environment, Nature Conservation, Building and Nuclear Safety on the topic „Stadtentwicklung und Migration“ Urban Development and Migration. Bürogemeinschaft Gauly & Volgmann is involved as a project partner of the Office of Urban Renewal and Residential Construction Subsidies of the City of Leipzig. Understanding integration within its social context, focusing on 3 target groups: people with a migrant background, refugees and socioeconomic vulnerable people. At the beginning of September 2018, the “Bunter Mockauer Sommer” took place. For a week a green space in the center of Mockau was used as venue for various activities jointly developed by the City of Leipzig, numerous local initiatives and institutions. 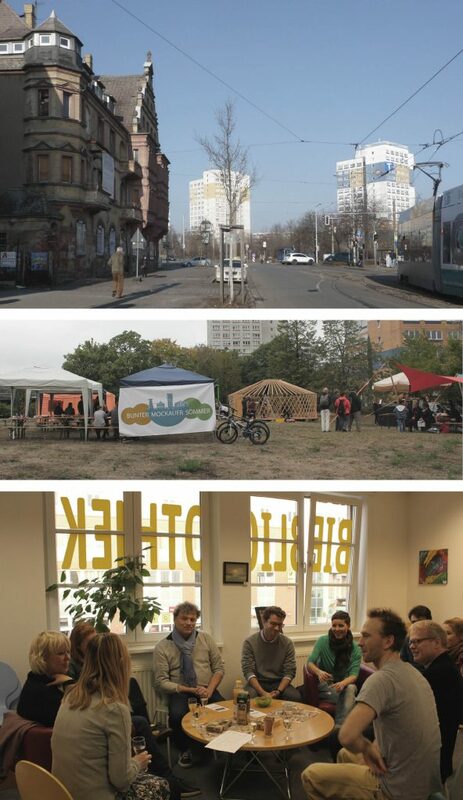 The idea for the Bunter Mockauer Sommer originated in the regular stakeholder workshops in the district – out of the desire to create a (temporary) meeting place for Mockau inhabitants and to connect the district’s institutions more strongly with each other. 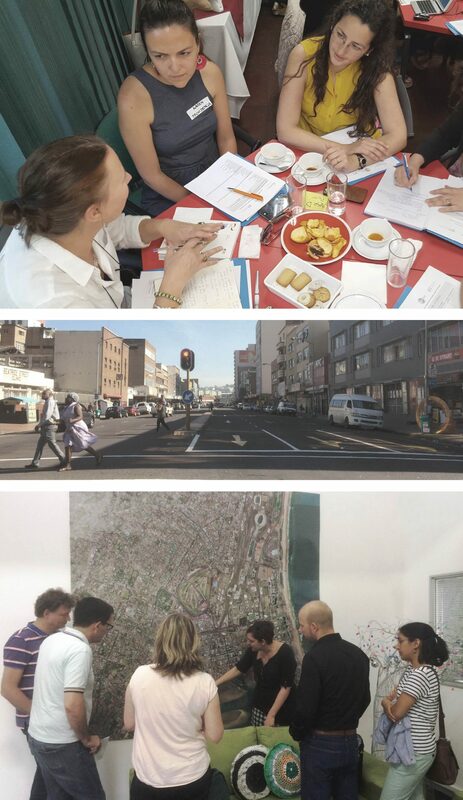 The South African-German Urban Network is an important initiative that was implemented within the project „Internationale Umsetzung des Memorandums Städtische Energien – Zukunftsaufgaben der Städte“ , International implementation of the memorandum Urban Energies – Urban Challenges. It is implemented by Deutsche Gesellschaft für Internationale Zusammenarbeit (GIZ) GmbH on behalf of the Federal Ministry for the Environment, Nature Conservation, Building and Nuclear Safety (BMUB). Other participants at a state level are the Federal Ministry BMUB , the South African Department for Cooperative Governance (DCoG), the Deutsche Städtetag (DST), the South African Local Government Association (SALGA), the South African Cities Network (SACN) and the City Support Programme (CSP). The Global Project “Cities Fit for Climate Change” (CFCC) is based on the new challenges that climate change imposes to cities worldwide. The Deutsche Gesellschaft für Internationale Zusammenarbeit (GIZ) GmbH is working together with its partners in Germany as well as in three partner countries: Chile, South Africa and India. The aim of the project is to develop integrated climate-friendly urban development instruments and in that way to test innovative solutions for urban planning. In addition, Bürogemeinschaft Gauly & Volgmann organized and accompanied a trip for the partners from Chennai, Durban and Santiago de Chile to learn about climate-friendly urban development in Germany. Participation, public relations and network management, urban space and consultancy for house owners. On the basis of the “integrated district development concept Leipzig-Schönefeld” (STEK Schönefeld) which was passed by the city council in 2016, the bundling of public and private commitment as well as investment activities aims on a sustainable urban planning development at economic and social level. Advising and accompanying individuals, initiatives and institutions who (want to) implement European Union-funded projects based on the Integrated Action Concept for Schönefeld. Since Schönefeld forms a focus area of ​​urban renewal in Leipzig, funding from the Urban Redevelopment East programme can be used there. The aim of this fund is to support smaller projects in the urban redevelopment area that can be implemented in short-term, without bureaucratic hurdles and which contribute to the revitalization of the area.